Maybe I have just seen Star Wars a few too many times. But, as I was getting on the freeway the other day, I glanced up at the truck in front of me and I had to do a little double take. 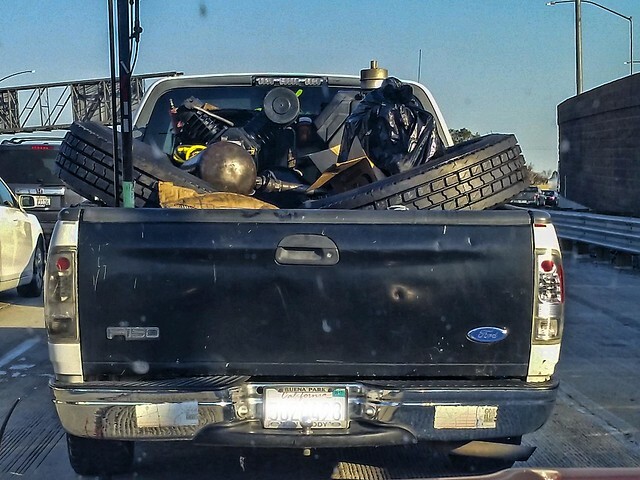 What I "saw" was a bunch of junked robots...droids heaped up in the back of this innocent-looking truck. It was like seeing the the junk traders in the desert.